Postponed from its original date of 25 March, we are please to announce the concert will now be Sunday 23 June. Teachers and young musician wishing to take part are invited to contact Marian for further details. 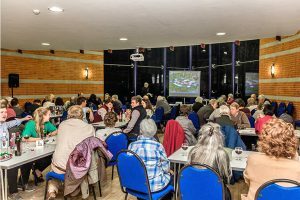 This popular fundraising event was packed to The Ark rafters as almost 90 quizzers took their seats! 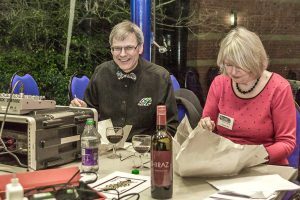 Quizmaster Simon Raine, ably assisted by the missus Mysie, suitably entertained the throng. The fish & chip supper was complimented by drinks from the bar. 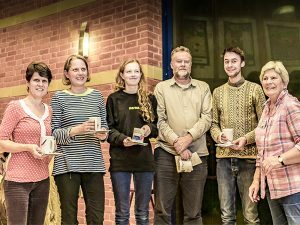 The evening concluded with team awards and a fabulous raffle. Many thanks to everyone who helped make it so successful and those that assisted the clear-up at the end! 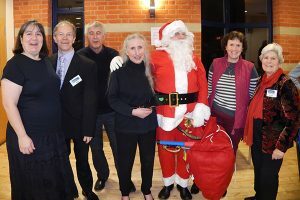 Our final offering of 2018 started the festive season in style. 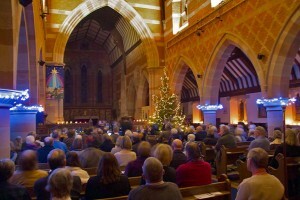 Wall to wall beautiful music filled the candlelit church as Nic Fallowfield produced and conducted with his usual flair. 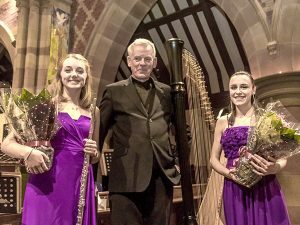 Special guests, Hefin Flute and Harp Duo, mesmerised with Mozart’s Concerto for Flute and Harp. 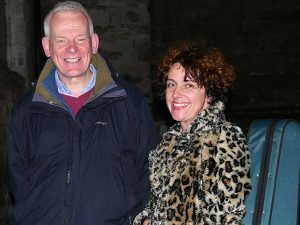 A very happy audience left St Laurence Church on Saturday evening. 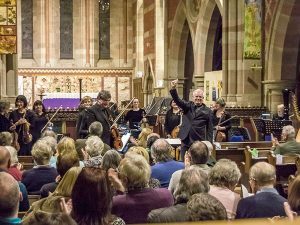 The first of the new season’s six concerts didn’t dissapoint as TMS Music Director Nic Fallowfield conducted the all-strings orchestra at our home venue. 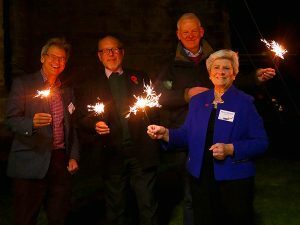 Morven Bryce, leader, gave an enthusiastic and animated performance to delight the audience whilst fireworks expressed themselves in the village! 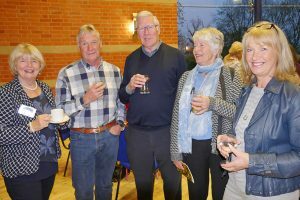 The pre-concert Patrons and Sponsors reception was kindly attended by John de la Cour from The Elmley Foundation, our Principal Sponsor, with other generous supporters. 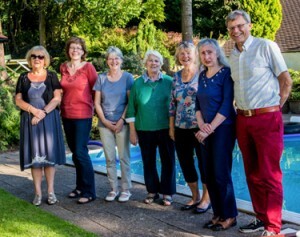 Long-time TMS sponsors Burcot Grange held a ‘Jazz on the Lawn’ event during the summer. 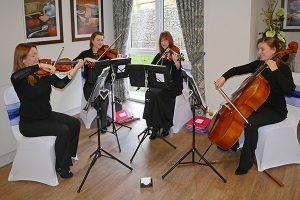 Entertaining the residents and guests were our very own Enigma String Quartet offering a broad range of jazz music. Whilst the sun shone much of the time, a rain shower did make an appearance but not dampening those attending one little bit! The penultimate concert in our 2018/19 season saw the return of this popular jazz group as regular orchestral player Sally Minchin led the quintet. 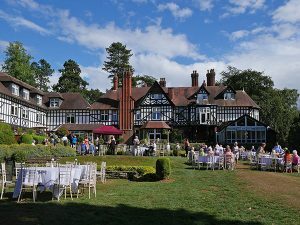 We were threatened with a day of thunderstorms and torrential downpours but instead the sun shone until clearing up time at 5pm with everyone having a jolly good time! 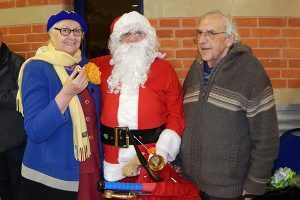 Families picnicked and with 60 stalls to explore and entertainment to be enjoyed it was a happy village occasion. 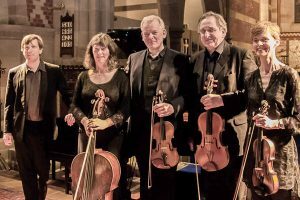 The Tedesca Quartet will be at Alvechurch Village Hall on Sunday 3 June 2018 for a Benslow Music Play Day. This performance is following Tedesca Quartet’s Benslow Music Play Day. 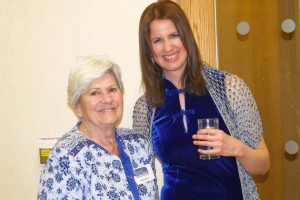 For information about the Benslow Music Trust – see HERE. For details and booking form for 3 June – see HERE. 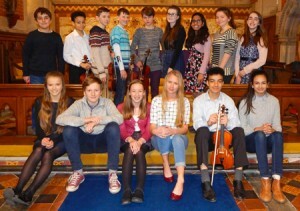 On Sunday 25 March we enjoyed our annual YMS concert. 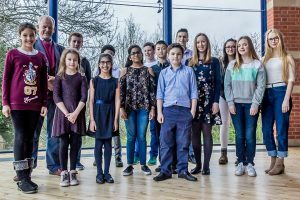 This year we had the pleasure of listening to eight pupils play a variety of pieces. 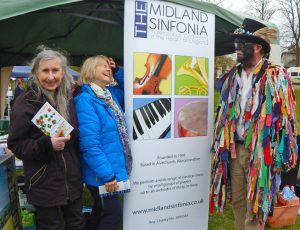 Apart from a range of songs from solo singers Maanvi and Rosa, three performers even played two instruments and the audience had the joy of not just the music for violins and piano but two wind instruments – the oboe and bassoon. We continue to hold these afternoons to give youngsters the experience of having a public showcase and the experience of a real audience. 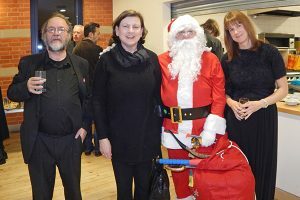 Thanks go to all teachers for supporting this initiative and for bringing their pupils along and particularly Stephanie and Georgia Vale who also accompanied many of the performances. The December festivities started with a suitably splendid concert in our home of St. Laurence Church adorned by a thousand twinkling candles! 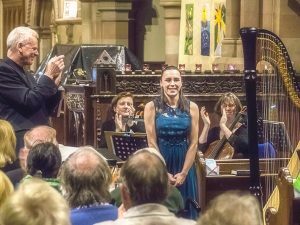 The audience enjoyed a great evening of beautiful music played by the orchestra and this year we were joined by soprano Elizabeth Ryder who sang Mozart’s ‘Exultate Jubilate’. 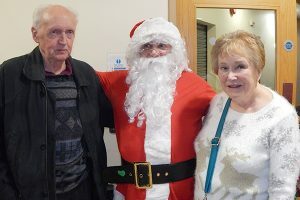 During the the interval we had a special visit from Father Christmas who made sure that we were all having a really good time. 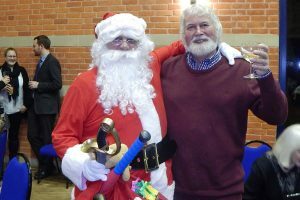 Many thanks to all that came along to make it such a success and good wishes to all for a Happy New Year. 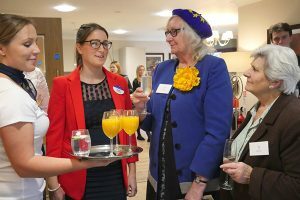 Our musicians helped launch a new purpose-built building offering care to those with dementia. 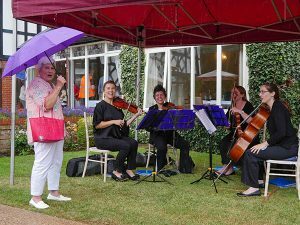 Part of the Cinnamon Care Collection, ‘The Lodge at Burcot Grange’ saw ‘Highly Strung String Quartet’, led by Sally Minchin, entertain invited guests whilst they enjoyed a canapés and champagne reception. 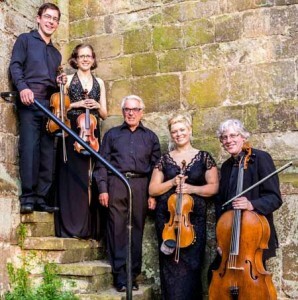 Back by popular demand, Sally will be returning to Alvechurch in June 2018 with her group ‘Fret & Fiddle’ with a concert entitled ‘And All That Jazz’. 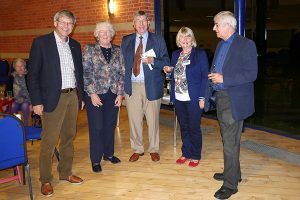 Patrons and Sponsors enjoyed a pre-concert reception in The Ark which was followed by the opening concert of our new season. 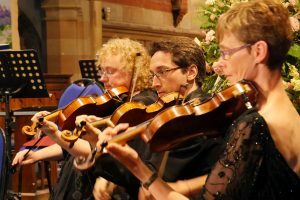 The well-regarded violinist George Ewart gave the audience a sublime offering of works by the masters which at times was breathtaking in its delivery. George was wonderfully accompanied by Robert Markham on the piano. The performances were even more remarkable considering the two musicians had only met hours beforehand! 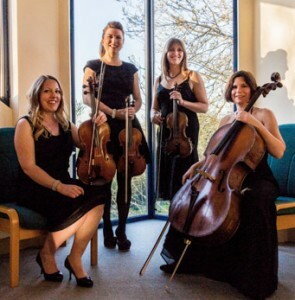 Full information of next season’s programme has now been produced offering a great opportunity to experience different genres of classic music. 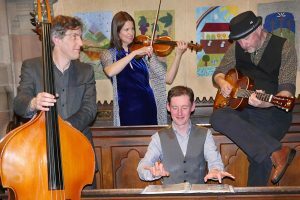 With an extra concert date added, the return of Fret & Fiddle by public demand, duets, solos and full orchestral works – there is much to recommend. Discounts are available here. 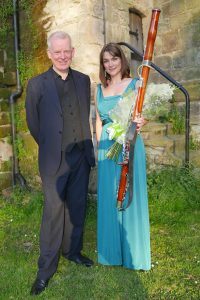 The end of our 21st season concluded with a lovely concert with the bassoonist Llinos Owen being a delightful addition to the lineup of players. We had a wonderful mix of music which made for an excellent evening and a fitting end to the season. With the present series finale fast approaching in July, the expanded programme of concerts and events have now been released – available here. 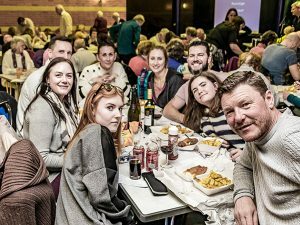 The season now runs from October 2017 thru’ to July 2018 with two featuring in the Bromsgrove Festival 2018. 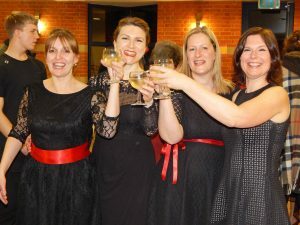 The penultimate concert of the season saw Fret & Fiddle Jazz Quartet rock St Laurence Church with ‘Jazz & Fizz’. A departure from classical music, this reflects the different genres we feel compelled to offer our enlightened audience. 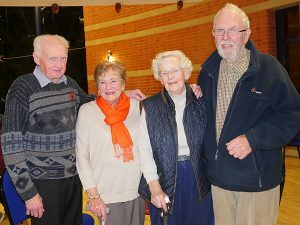 And so appreciative they were too, with a standing ovation for Sally Minchin and the band. 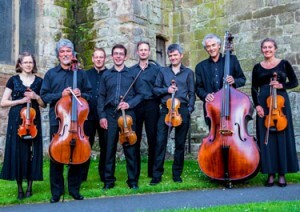 Now half way through the current series of concerts, be sure to book your tickets in good time. Three stunning evenings are ahead as good examples of the variety of music genres offered by TMS. And, advance purchases are guaranteed a seat and a special discount to boot – click here or contact Marian here. To miss our April First concert would be foolish indeed. Guest performer, Anthony Thompson, has selected a veritable spectrum of 15 musical instruments, including some very unusual, to blow your mind. Along with our own Nic Fallowfield, they have produced an extraordinary programme of work to enthral, enlighten and entertain the audience. 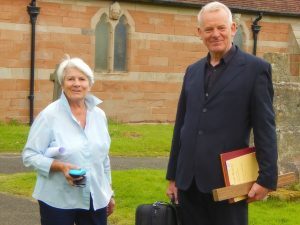 Our very own resident quartet Tedesca and guest pianist Charles Matthews gave a wonderful performance based on the tangled emotions between Mr & Mrs Schumann and their close friend Brahms. 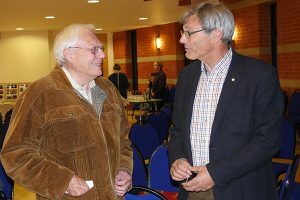 Question Master Simon Raine assisted by Mysie Raine did a brilliant job presenting rounds covering a wide variety of subjects that appealed to the range of ages from 20 to 80. 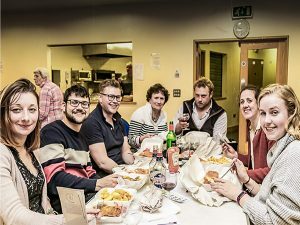 Twelve teams enjoyed a mentally challenging evening with friendly company, good fish and chips from The Tudor Rose Alvechurch, and a well stocked bar. 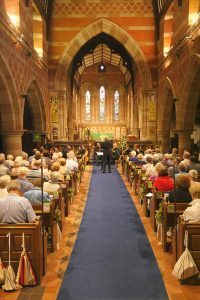 A packed candelit St Laurence Church was enthralled by the beautiful music performed by the orchestra under the baton of new Music Director, Nic Fallowfield. 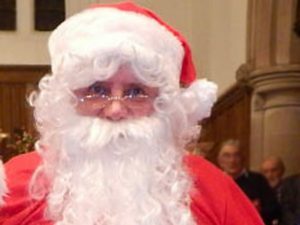 During the interval of mince pies and mulled wine in The Ark, the audience received a surprise visit from Father Christmas. 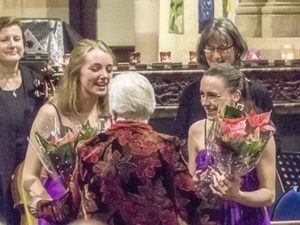 Tickets to one or more of our wonderful concerts could make a welcome present for loved ones, family and friends. Follow this link to our booking page for that special gift they will remember. 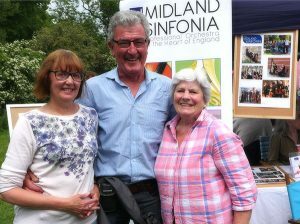 Just two weeks to 22 October, start of our 21st season and Nic Fallowfield’s first concert as Music Director of the Midland Sinfonia. Our outgoing music director, Richard Laing, gave his final concert in the last of the 2015/16 season’s offerings. 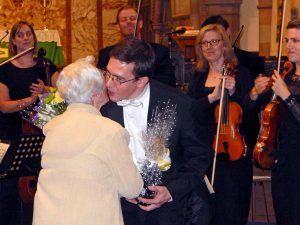 Richard receives a bouquet from The Midland Sinfonia chair, Marian Barwell. An upbeat programme began with the Arrival of the Queen of Sheba and concluded with Mozart’s Symphony no.29. In between, we were treated with two other symphonies and Mozart’s splendid horn concerto performed by CBSOs magnificent Elspeth Dutch. Appropriately, Haydn was well represented with a rare outing of his Symphony no.67 – a truly wonderful work reflecting the early years of TMS under the baton of Nigel Morely. Richard has served more that 15 years years with the orchestra – the last decade as its music director and principal conductor. An emotionally-charged finale and fitting tribute to his contribution and dedication. As we prepare for the final concert of the current season, advance notice of the coming series have been made available. Tickets go on sale 1 September 2016 via the booking page. 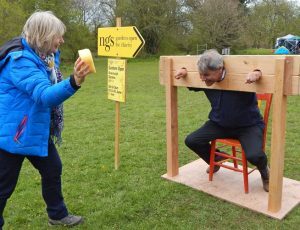 TMS once again shared a stand with Alvechurch Village Society for this years Picnic in the Park, held to celebrate May Day. Although a cold day, plenty of people attended to enjoy the activities. Elizabeth and Mysie are given black looks by a Morris Man and Mysie gets her own back on Simon! The young winner of the ‘Name the Instrument’ quiz held at our stand will receive a pair of tickets to a TMS concert of her choice. 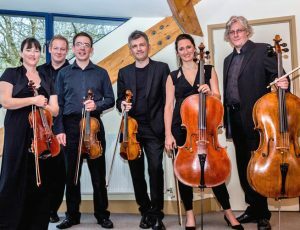 Six exceptionally-talented musicians appeared together to perform four works by composers Mozart, Schubert and Schoenberg. This was Richard’s penultimate appearance with TMS in his role as Music Director for the last 10 years. Always welcome guest players and a great attraction to those in the know. Offering a Spanish themed ‘Viva La Musica!’ concert, we were treated to no less than 12 wonderful pieces plus a well deserved encore. 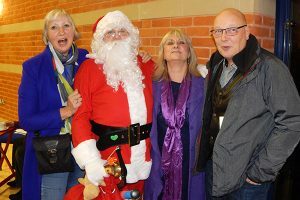 The girls had just finished a UK tour and were delighted, as will be seen above, with their triumphant return to Alvechurch with all those friendly faces. 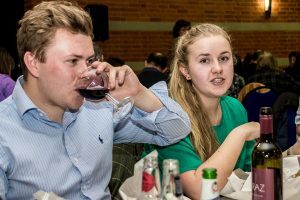 The Ark played host to a packed audience who also enjoyed the special refreshments of Sangria and Tapas. Ole! 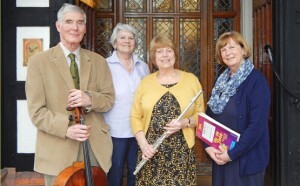 As a thank you to one of our long-standing sponsors, TMS chair Marian Barwell took members of the Parratini Ensemble for an afternoon of live music at Burcot Grange Residential Home. The players were Peter Jackson/cello, Mary Wright/flute and Margaret Harper/keyboard. The packed lounge heard pieces from the early Baroque period, with the likes of Vivaldi’s The Four Seasons, through to more modern offerings like Danny Boy. There was even an impromptu ‘Happy Birthday’ serenade to one lucky resident! 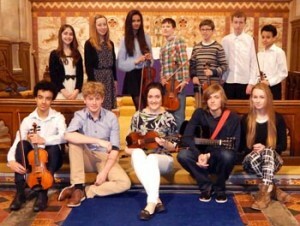 Our Young Musicians Showcase was another great success with 15 youngsters, singing, playing the violin and the piano. This year was a first for YMS with 11-year-old Eliott Penn-Ashman from Alvechurch Middle School playing the drums! We are always very encouraged by the generous feedback from the players, parents and teachers who say how beneficial the experience of playing before a live and appreciative audience is for all the young players. Once again the musicians gave a professional and talented performance. 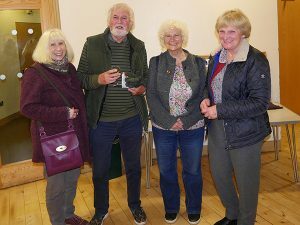 A varied and entertaining programme was much appreciated by lovers of brass and members of the audience who just came ‘to try’ something different. 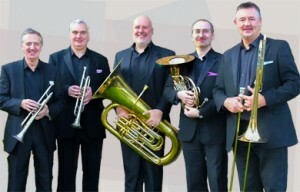 Judging by the favourable comments and requests for their return, I believe HBE have some new followers and brass enthusiasts! 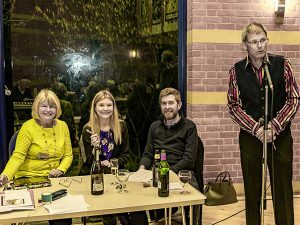 The Fundraising Quiz and Supper evening on Friday 6 November went brilliantly raising in excess of £700 for the orchestra. To everyone who attended, we hope you enjoyed the lively evening and thank you very much for your support. “… it was a superb concert…”, a fitting end to another glorious programme of concerts for the 2014/15 season. Another series of concerts comes to a close with some very special players performing works by Strauss, Bruch and Mendelssohn. Part of the 2015 Bromsgrove Festival programme of events. 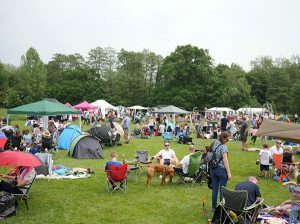 We were delighted to have participate in the annual Alvechurch Picnic in the Park held Sunday of the May Bank Holiday. It’s a chance to advertise the concerts we have during the year and to encourage new audience members. After the dismal forecasts for rain throughout the day, we were lucky to have just a couple of showers with the the event was very well attended. 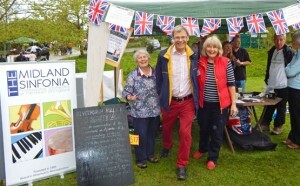 There were many stalls showcasing the variety of organisations here in the village and the day was packed with a cross section of events. Not least, in the next field the Guinness World Record for teddy bears in a row inspired by local lad, Finlay Church. 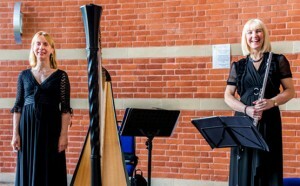 A delightful concert of harp and flute was held in The Ark by Rachel Holt and Anna Christensen. 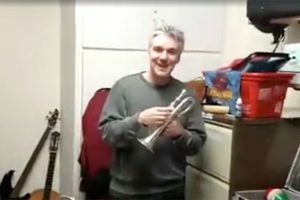 Here is a short impromptu film of the afternoon rehearsal by Robert Webster. The return of our favourite foursome was undeniably a splendid success. The large, appreciate audience enjoyed the vast mix of film music – a real hit with every one. The girls produced a marvellous atmosphere in the packed Ark, which lends itself well to such a concert, and we look forward to all the new faces in the audience returning for the remainder of the season and into the next. The following weekend saw the venue given over to those just starting out on their musical path. 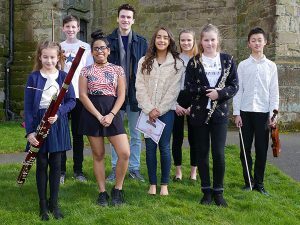 Now in its 8th year, a delightful Sunday afternoon was spent listening to the Young Musicians’ Showcase. 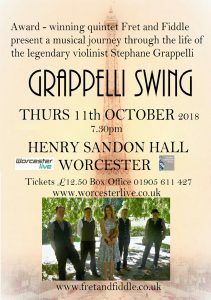 A mix of differing ages, disciplines and abilities made for a warmly received and well supported concert. We are most grateful to the piano accompanists. 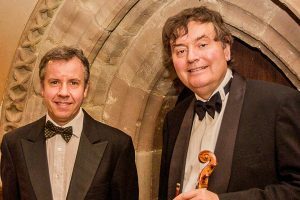 As part of the Bromsgrove Festival, our celebrity players performed our final concert of the season to a resounding success. 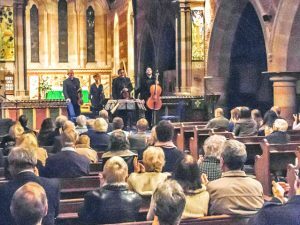 A ‘Midsummer Chamber Concert’ closed another programme of varied and enjoyable offerings with another Celebrity Chamber Concert. 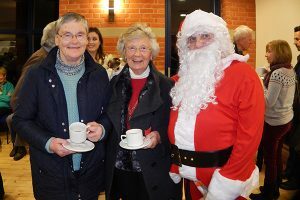 Our annual festive concert held in St Laurence Church was warmly received by the large audience. Flickering lights welcomed regulars, sponsors and many new faces to this inviting venue. 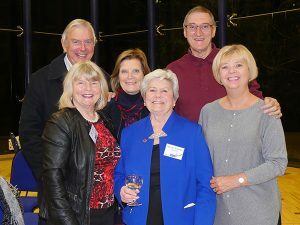 Patrons and Sponsors enjoyed a special pre-concert reception as a thank you from the trustees for their support of the orchestra. 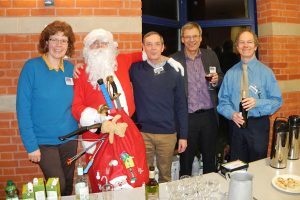 Interval mulled wine with mince pies allowed a relax chat with the musicians before the delightful second half begun. To everyone who has donated via BT MyDonate – very many thanks for your support. We are unable to thank you personally as all the donations are made anonymously. The Trustees enjoying the summer sun during the Annual TMS Social. A well deserved break having put the final touches to the new season. 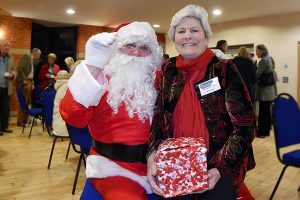 We are pleased to announce that Sue Peters has became a member of TMS board following her election as a trustee at our recent AGM. 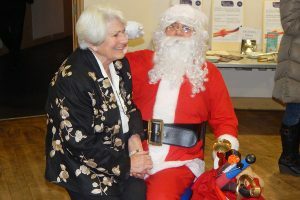 Sue has had a long interest in music, particularly classical, and is active in the community promoting the arts. 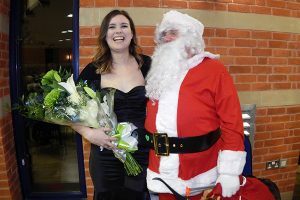 This year, she was nominated in the Bromsgrove District Council’s new Spirit of Bromsgrove Awards in the arts category for the most promising individual newcomer. 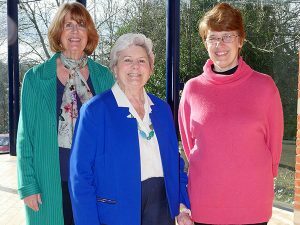 We believe that Sue will be a real asset to TMS helping it move forward. Regular and new audience members are always welcome at our concerts – and we have just launched a new booking facility via this website – just click on the link to the right, complete the form for your chosen concert! Simples. 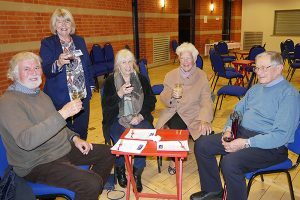 INTERVAL REFRESHMENTS – a necessary & enjoyable part of the TMS experience!